Friends Of Soccer Friends of Soccer is a group that has been established to enable parents, Old Boys and other interested persons to support the sport of soccer within Camberwell Grammar School. 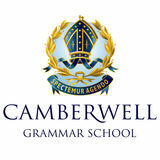 At the time of establishing the Friends of Soccer Support Group in 2008, soccer was the most widely played sport at Camberwell Grammar School, with over 300 boys actively involved over 30 teams across Years 7 to 12. The group works with the Director of Sport and the Master in Charge of Soccer to support CGS soccer in a variety of ways. Friends of Soccer aim to ensure that an appropriate level of coaching support and skills training is available to all of the schoolâ&#x20AC;&#x2122;s soccer teams. We aim to achieve this not only through providing financial support, but also through encouraging interested parents and Old Boys to actively become involved in these activities. The group also aims to foster greater parental involvement and support on match days.